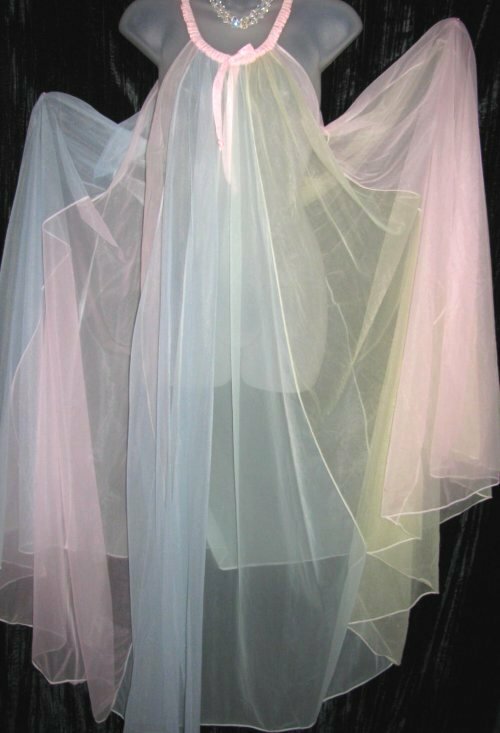 Multi Color Pastel Panel Sheer Chiffon - Magnificent Sensational! 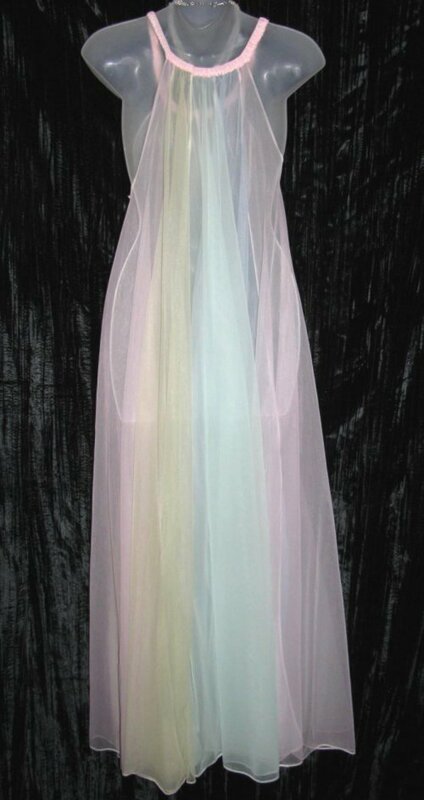 MAGNIFICENT nightgown in multi color pastel sheer chiffon. Pastel salt water taffy colors of yellow, green, blue, and pink all join together for this magnificent artistry of color. Each color panel is approximately 35” wide at the bottom hem, and there are 2 panels of each of the 4 colors. The panels are all attached to a satin ribbon elasticized at the top and at the shoulder strap. Accessories not included. So feminine – SO SENSATIONAL! 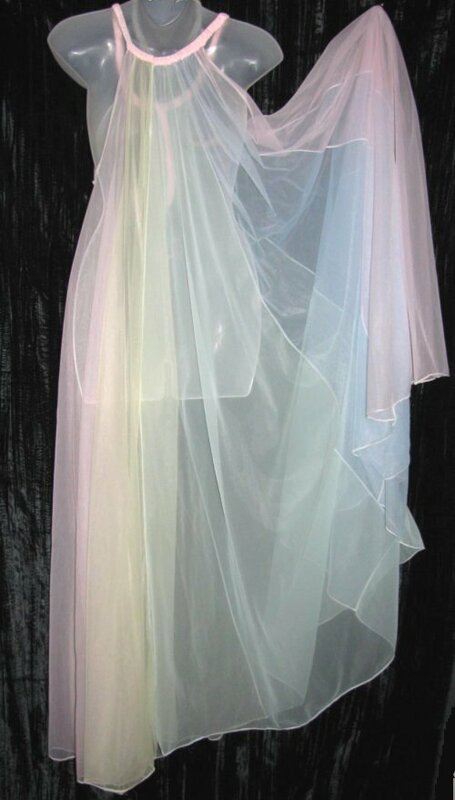 Size - one size fits all (there is no label but there is so much flowing chiffon). Armpit to armpit - 26” across or 52” circumference. Sweep (circumference of bottom hem) - approx 280”.